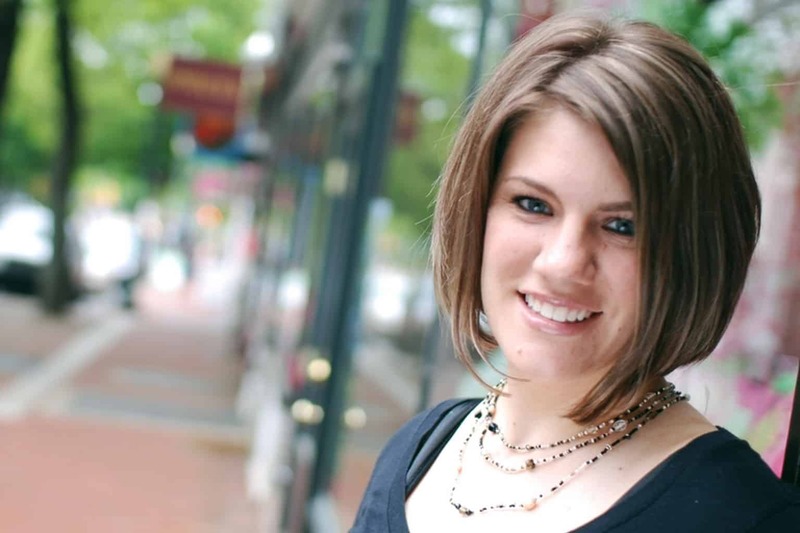 This week on The Faith Angle podcast, hosts Jonathan Merritt and Kirsten Powers talk with author and speaker Rachel Held Evans about misogyny in the Church, how the Bible is often misinterpreted, what Jesus thought about women and a lot more. You can hear the whole thing by downloading it from iTunes. Kirsten: Define what we mean when we’re talking about misogyny, because I think a lot of people will say misogyny means hating women, and people don’t hate women … I don’t even think people are aware about where a lot of these beliefs about women come from. They’ve sort of been handed down over the years, and actually it was based in people who really did see women in being sub-human. They weren’t even in any way seen the same as being a man. So while the person who is employing some of these behaviors may not themselves feel like they hate women, it’s grown out of this tradition. How would you explain it? I mean look at Tertullian. He was … an old-school early Christian church theologian who wrote quite prolifically on everything from incarnational theology to the relationship between church and state, to women. And he had some not-so-nice things to say about women. Tertullian blamed women for the fall of humanity, and said that the curse of Eve is born upon every woman, so every woman bears responsibility for the sins and destruction and the pains of humanity. And that the pains that women experience in childbirth are just a small taste of the damnation that we all deserve. If you go back to some of those early Church fathers of the Western tradition, there’s some pretty crazy stuff about women in their writing. That was influenced by the culture, by what I believe is the pervasive sin of patriarchy. But it trickled down. The folks who were writing in the Western tradition early on impacted so much of Christianity as we see it today. Maybe the folks believed that how they regulate women in their churches is based exclusively on the Bible, but it’s actually based on a more western interpretation of reading of the Bible. Kirsten: I think it’s important to address that because there may be some people who are listening who would say, “Whoa whoa whoa … this isn’t misogyny or sexism, it’s in the Bible.” They say, “The Bible is very clear that women are not supposed to be in leadership and that’s what it’s about. It has nothing to do with sexism.” What would you say to that? Most of the time, people are referring to the bits and pieces of the Epistles, written largely by Paul—also by Peter and some other folks—and saying there’s cases and scenarios in which the apostle Paul discourages women from leadership. Particularly in environments where, at the time, women were pretty much running things religiously in the cultic worship of the day. So there were certain scenarios in which the apostle Paul said, “I don’t think women should be taking leadership in this particular church.” But then in other churches, he very specifically praises the leadership of women. He refers to Priscilla as a teacher; he refers to Phoebe as a deacon; he refers to Junia as an apostle, outstanding among the apostles. So obviously, the apostle Paul did not, in theory have a problem with women in leadership. He refers to women as coworkers in leading the Church. The goal of the Apostle Paul and so many writers of the epistles is, “We wanna make it as easy as possible; we wanna remove every possible obstruction in the way of the apostle. We want for Gentiles and Jews alike to come to know the gospel of Jesus Christ.” So if there was a culture and a situation in which women in leadership might have impeded the Gospel, he would say, let’s not have women leading in this particular environment. But if there was a situation in which forbidding women from leading would be an impediment, he would be like, let the women lead. I think the big question is, in today’s culture, “Do women in leadership impede or help the progression of the Gospel of Jesus Christ?” And there’s not a doubt in my mind that women teaching and leading and using their gifts to advance the cause of the Gospel is a good thing in this day in age and in this culture and at this moment. Jonathan: I remember when John Piper said God has given Christianity a “masculine feel.” What you’re saying here is that there are different ways of reading the Bible and that will challenge that idea. When you read the Gospels, how does Jesus’ life and teaching specifically come into this conversation? The first person to proclaim the Gospel in its entirety including the resurrection of Jesus Christ—without which there is no Gospel—was a woman. The first person to say, “He has risen” was a woman. It always kind of rubs me the wrong way on Easter Sunday when a dude gets up in front of the church and says “He is risen” … that honor should always belong to a woman in my thinking. Because there was a point to that. I don’t think that was an accident. Because in doing so, Jesus is really sanctifying the testimonies of women. I think we can look to Jesus as an example of elevating women. Certainly not focusing on relegating them, and I think given how Easter Sunday shaped up the first time, saying that Christianity has a masculine feel is just not really the case.